In the aftermath of the Harvey Weinstein scandal and the birth of the #MeToo movement, many Americans were left with the impression that men in positions of power were finally being held accountable for their actions. The way in which the White House completely mishandled the allegations against White House staff secretary Rob Porter, however, draws glaring attention to the sexist power dynamics in politics that have yet to be fixed. White House Chief of Staff John Kelly had known for months about the allegations of domestic abuse surrounding Porter, yet he deliberately chose to look the other way instead of calling for a resignation. Kelly essentially gave Porter a free pass for his despicable actions by allowing the accused man to remain as an influential aide to President Trump. The only way that this toxic behavior can be ameliorated is if abusers are held accountable for the hurt that they have inflicted on others. Kelly completely failed in this regard, seeing as the February 6 release of a Daily Mail article exposing Porter’s abusive nature to the world was what it took to get him to resign. According to Colbie Holderness, Porter’s first wife, the disgraced staff secretary began behaving violently with her while the pair were on their honeymoon in 2003. Porter reportedly threw Holderness on the bed and punched her in the face, leaving his new wife with a black eye. Prior to this, he would either throw her down on a soft surface, lay atop her and shake her or rub an elbow or knee into her, or choke her. Porter married Jennifer Willoughby a year after his 2008 divorce from Holderness, and Willoughby filed an emergency protective order against Porter in June 2010 after he smashed his hand into a glass door and refused to leave their apartment. The pair divorced three years later. Willoughby told the FBI her story when they contacted her in January 2017 as part of Porter’s background check. Porter managed to slip by unscathed by Willoughby’s testimony after warning White House counsel Don McGahn that his ex-wives might say unflattering things about him. Instead of inquiring about the validity of Willoughby’s story and actively seeking the truth, McGhan told Porter that he could work under an interim security clearance, which he did until the Daily Mail shed light on his domestic abuse. It seems as though the words of abused women mean nothing to the White House until they are open to the public and can therefore blacken the reputation of the Oval Office. 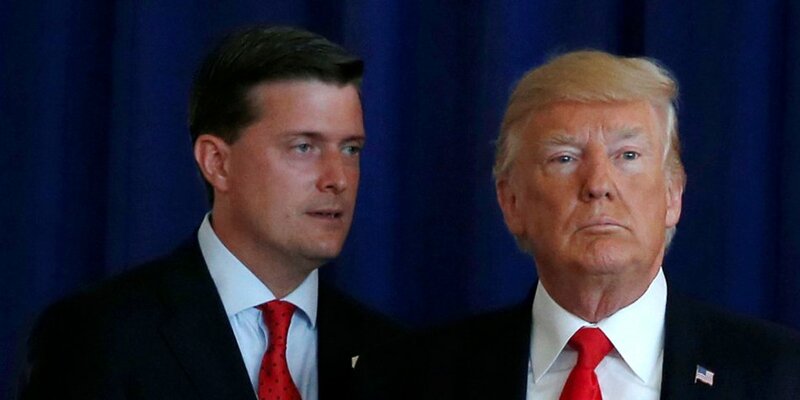 Had the Daily Mail not uncovered the truth about Porter’s history, he may well have remained screening highly sensitive information for the president. “He said he’s innocent, and I think you have to remember that. He said very strongly yesterday that he’s innocent, but you’ll have to talk to him about that,” Trump said. When our very own president would rather side with the accused as opposed to the abused, it is highly important to remember that men like Rob Porter, Matt Lauer, and Harvey Weinstein remained in their positions of power because they were surrounded by people who were willing to turn a blind eye to their actions. If we, as a society, are to continue to progress in a way that is meaningful to the present and future generations, we must fight for the voices of the abused to be heard, substantiated and believed.